Well, El Nino is definitely here which means rainboots, cozy sweaters, oversized scarfs, and soup. When you’re chilled to the bone nothing quite says “Let me warm you up,” like a big snuggly bowl of warm, creamy soup. And, fresh baked rolls. Mmmmm. While these creamy soups are delicious, they're not exactly health food. I did the calorie calculations. Homemade, dairy packed, broccoli and cheese is 575 calories and my recipe is 265 a serving and just as delicious. It's also full of vitamins! I promise, your family will have no idea they're eating so many vegetables! And, you've saved so many calories, you can feel A-OK about putting this in a bread bowl. This was inspired by my nacho cheese recipe. Chop all of your vegetables, reserve half of the broccoli, and boil until tender roughly 20 minutes. Steam the broccoli while everything else is boiling. I like to place a colander over my pot of boiling liquid and put the lid on. Place your spices and cashews in the bottom of your high powered blender. If you don't have a high power blender, you may need to soak the cashews at least three hours. Pour one cup of boiling water from your veggies in the blender with 3 cups of stock and all of the vegetables. Blend on high for 1-2 minutes. It should turn to a lovely, thick creamy consistency. If it's too thick, add a little more stock to thin. You may have to separate this into two separate blendings. If you do, blend 1/3 cup of cashews, 1/2 a cup of boiling liquid, 1 1/2 cups of stock, and roughly half of your veggies. This soup is good first day, but it's so much better after the flavors combine overnight. You have to make this, this winter. Tastes like sin, but guilt free! If you make this please share with me on instagram! 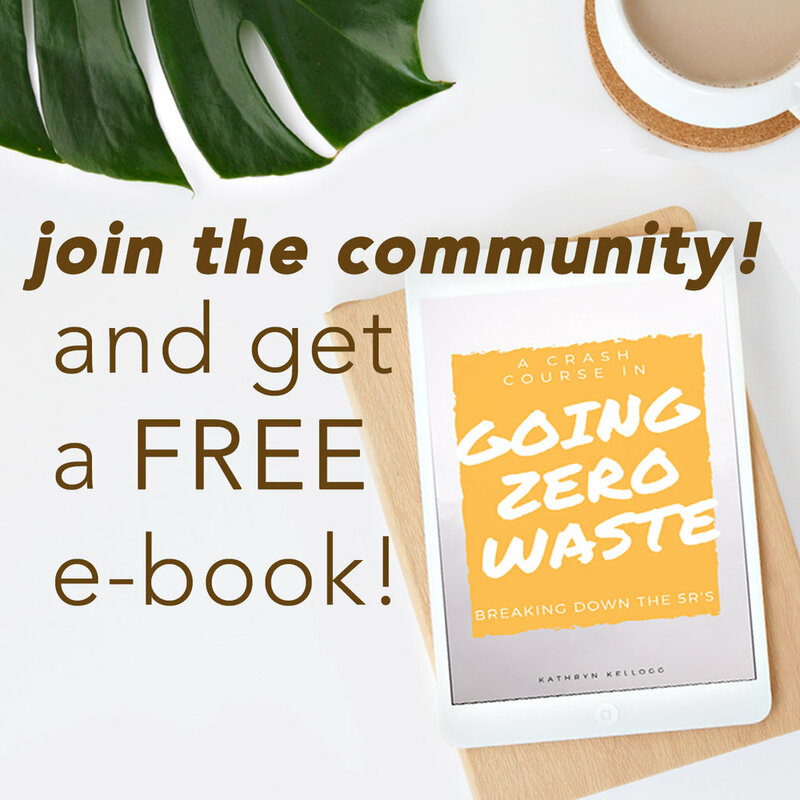 Use my hashtag #goingzerowaste. I love following along with your journeys! This is the second post in our vegan, Thanksgiving sides series. I love mashed potatoes. It's one of my top comfort foods. There's really nothing better than eating a warm bowl of mashed potatoes and fried chicken or cauliflower. A couple of years ago I discovered tofutti sour cream which rocked my world. Being allergic to dairy, I had never really experienced sour cream. Nachos, sour cream apple pie, burritos, spinach dip, artichoke dip, and of course digging into AMAZING mashed potatoes... Mmmmm. Unfortunately it comes in a plastic box, covered with plastic film, and it has some questionable ingredients. Hydrogenated soybean oil? It's main ingredient is water and it's loaded with sugar. But, now that I've tasted the holy grail, there's no way I'm going back to lame mashed potatoes. So, I've been experimenting with different ways to make non-dairy sour cream. I had a happy accident and made cream cheese! Woo-hoo! But, I finally nailed the sour cream mashed potatoes. It only takes about 15-20 minutes making it a serious Thanksgiving win! Fill a large pot with water and bring to a boil. Add chopped potatoes and cashews. The potatoes and cashews should be ready after about 15 minutes. You should be able to easily insert a fork into the potatoes and the cashews should be plump. Place the potatoes in a separate bowl and set aside. Put your cashews, 2 cups of the starchy potato liquid and all of the other ingredients in a blender or food processor. Blend until smooth 2-3 minutes. Mash your potatoes and fold in your creamy cashew mixture. Add extra salt, pepper, oil, green onions or my personal favorite smoked paprika for a pretty garnish. Thanksgiving is my favorite holiday! It's not about gifts, it's not crazy commercialized. It's a wonderful time to reflect on our blessings - and eat. And, eat some more. Turkey is a kinda integral part of Thanksgiving, but I want to make every other dish as kind and yummy as possible. So, this whole month I will be doing a bang-up, mash-down, good ol' southern style, vegan side dishes. Y.U.M. Green bean casserole is one of my favorites! I hosted my first Thanksgiving last year, and most of the dishes required an oven. This can be made predominately on the stove top. Most recipes call for cream of mushroom soup, and even if you're not vegan I'd highly recommend making your own. It's easy, and not filled with modified food starch, msg, and cottonseed oil (what even is that?) No thanks. Place your mushrooms and six cups of water in a large pot. Bring to a rolling boil. Trim the ends off of your green beans. Place your green beans in a colander or steamer on top of the pot with with the mushrooms. Cover it and reduce the liquid by half approximately 15-20 minutes. In a large pan melt the butter, and whisk in the 1/2 cup of flour. Continuously whisk and watch the mixture as it becomes a rich golden brown. Keep whisking to prevent it from burning. Ladle out 3 cups of the boiling mushroom water a half a cup at a time. Keep whisking till all of the liquid is incorporated. Add in the mushrooms and green beans, and let it simmer for 5-10 minutes covered. Mix 1 cup of the flour and 1 cup of beer. Dip the onion rings in the mixture until fully coated. Add 2-3" of vegetable oil in another pan. When it starts to glisten add your coated onions. They will rise to the top when they're ready to flip approximately 1 minute. Flip for another 30 seconds. They should be golden brown. Remove to cool on a plate. I like to place them on a cooling racking on top of a sheet pan. The oil will drip off the onion rings keeping them crisp. Ladle out your green bean, mushroom mixture and pop into the oven for 10-15 minutes. Pull it out and top with crispy onions. *PRO TIP: If you're in a rush, forgo frying the onions and use toasted almond on top. It's even more beautiful and adds that satisfying crunch. I'm narrowing down my menu, but I need help with the final veggie dish. Should we do a roasted root medley, glazed carrots, or corn on the cob? What are some your favorite thanksgiving recipes? 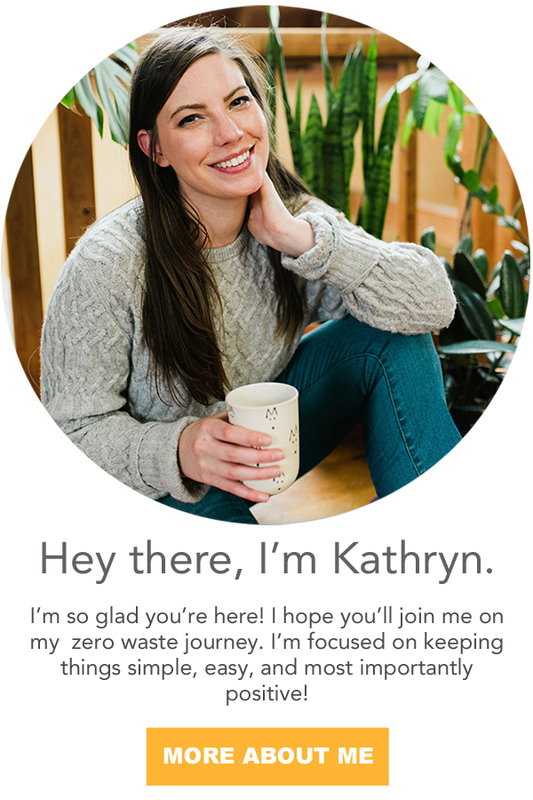 Any you'd like to see zero waste or veganized?